We at Freeair Services Ltd are a locally run family business that has been supplying air conditioning, refrigeration and ventilation for over 14 years. We have a showroom in Hedge End, Southampton where you can visit and view various types of Air Conditioning, and our experts can talk you through any questions you may have or specific needs and requirements. We believe in customer satisfaction and pride ourselves on impeccable customer service. We offer free site survey, free advice on heating and cooling and due to the recent government changes only 5% VAT payable for our domestic clients. Up to five years warranty if maintenance is taken up, quick installation, simple maintenance and varied brands to suit your individual requirements. 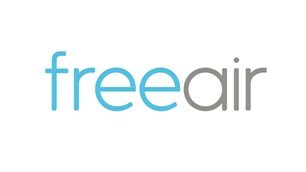 The whole Freeair experience revolves around providing our customers with a quality service, outstanding value for money and technical expertise. Our professional resume spells out the many ways in which we pledge to provide peace of mind to every customer on each job.